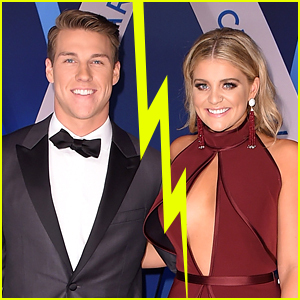 Alex Hopkins Photos, News, and Videos | Just Jared Jr.
Lauren Alaina has some sad news – she has called off her engagement to fiance Alex Hopkins. The 24-year-old country singer and former American Idol contestant started dating Alex in 2012 and they got engaged in July 2018. “We ask for grace, compassion, and respect in this time. I don’t regret a single second with Alex. I wish him the very best. Please do the same,” Lauren wrote along with the official statement. Lauren Alaina shows off her engagement ring to everyone while arriving at the 12th Annual ACM Honors held at Ryman Auditorium on Wednesday night (August 22) in Nashville, Tenn. The 23-year-old singer and her longtime beau Alex Hopkins announced their engagement just last month and they looked so happy on the red carpet together. “She may bust out in a dance or something [coming down the aisle]. She’s fun!” Lauren‘s tour mate Cole Swindell dished to People this week. Lauren Alaina and her longtime boyfriend Alex Hopkins are officially engaged! The American Idol season 10 runner-up took to Instagram on Saturday (July 21) to share the exciting news with fans. The two have been dating since 2012 when they were both 17 years old. Lauren Alaina and her boyfriend Alex Hopkins make a super cute couple on the red carpet at the 2018 Academy of Country Music Awards on Sunday (April 15) at the MGM Grand Garden Arena in Las Vegas. The 23-year-old singer was joined at the event by her “What Ifs” collaborator Kane Brown and his fiancee Katelyn Jae. The singers will perform the song during the show! Lauren won the award for New Female Vocalist of the Year and Kane was nominated for New Male Vocalist of the Year. Also in attendance at the event were American Idol‘s Scotty McCreery and The Voice alum Danielle Bradbery, Cassadee Pope, RaeLynn, and Craig Wayne Boyd.